Alize Cornet shrugged off the shirt-change sexism row which engulfed the US Open on Wednesday, claiming the Roland Garros furore over Serena Williams's cat suit was "10,000 times worse". The 28-year-old Cornet was handed a code violation for "unsportsmanlike conduct" when she removed her shirt on court after realising she had put it on back-to-front while in the locker room during a 10-minute heat break in her first round defeat against Sweden's Johanna Larsson on Tuesday. However, there was a storm of criticism for umpire Christian Rask's decision while male players remain free to change shirts on court. The United States Tennis Association apologised for the incident on Wednesday. "All players can change their shirts when sitting in the player chair. This is not considered a code violation," said organisers. "We regret that a code violation was assessed to Ms. Cornet yesterday. We have clarified the policy to ensure this will not happen moving forward. Fortunately, she was only assessed a warning with no further penalty or fine." The tournament was blasted for double standards over the incident, especially as it came just days after the French Open said it would ban Williams from wearing her 'Black Panther' catsuit again at Roland Garros. 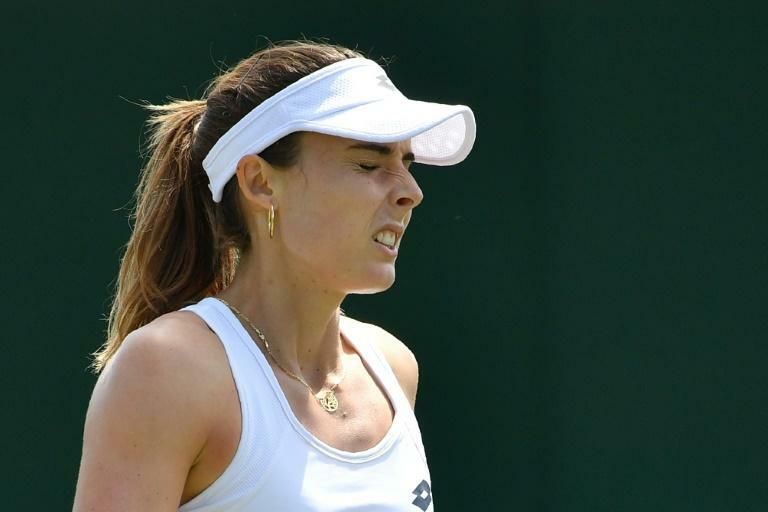 Cornet said she was stunned that the furore had caused so much controversy and was happy to accept the USTA's apology. "I think it's very fair from them to apologise to me. I think the umpire was probably overwhelmed by the situation," said Cornet. She said French tennis federation (FFT) president Bernard Giudicelli's ban on Williams's catsuit was much worse and genuinely worthy of being deemed 'sexist'. "The president of my federation lives in another time and can still do these kind of comments. They are totally shocking for me," she said. "What Bernard Giudicelli said about Serena's cat suit was 10,000 times worse than what happened to me on the court yesterday, because he's the president of the French federation and because he doesn't have to do that." Giudicelli said that there will be "certain limits" placed on clothing worn at the 2019 French Open. "You have to respect the game and the place," said Giudicelli who made a point of describing Williams's outfit in Paris this year as "unacceptable". Earlier Wednesday, the WTA said Cornet's code violation "was unfair and not based on a WTA rule, as the WTA has no rule against a change of attire on court". A spokeswoman added: "The WTA has always been and always will be a pioneer for women and women's sports. This code violation came under the Grand Slam rules and we are pleased to see the USTA has now changed this policy. Alize did nothing wrong." Former world number one and two-timer major winner Victoria Azarenka said she was pleased the USTA had apologised. But she believes there remain serious issues over how men and women are treated on tour. "Things and issues like this need to stop at the beginning. It cannot develop anymore. It's enough. You know, the things with the cat suit, I personally don't understand it. No idea what it means disrespecting the game playing in the cat suit? Many on social media were quick to point out that just a few hours after the Cornet incident, Wimbledon champion and two-time US Open winner Novak Djokovic sat courtside on Arthur Ashe Stadium with his shirt removed and with an ice towel draped around his shoulders.